Just a quick update, having had a go with the tinder fungus and cat-tail seed heads I gathered yesterday. As expected, the fungus was too damp to do anything with just now, but I’ve split it and left it to dry for a few weeks, so I’ll give that a go later (that’s if my wife doesn’t get fed up with the smell of wet dog in the hall before then, and chuck it out!). 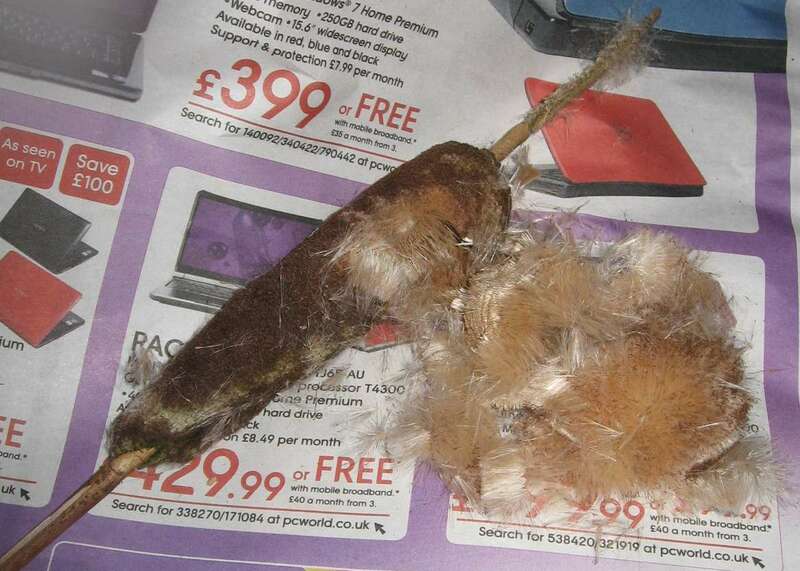 I had also expected the cat-tail heads to be too damp to light easily, but actually it’s amazing just how much fluff you can get out of just a tiny portion of the tightly packed seedhead…………. ………….and also just how easily it will take a spark. The main thing I found is that the flames tend to quickly flash over the surface of the fluff, and then die away quite rapidly. I suspect this could make it quite difficult to use in ‘real life’. However, if you were to drop a good ember into a ball of these seeds, it would probably work better. As an experiment, I tried mixing a bit of vaseline in with the seeds, and found this quite easy to light and sustain a flame long enough to get a fire going. 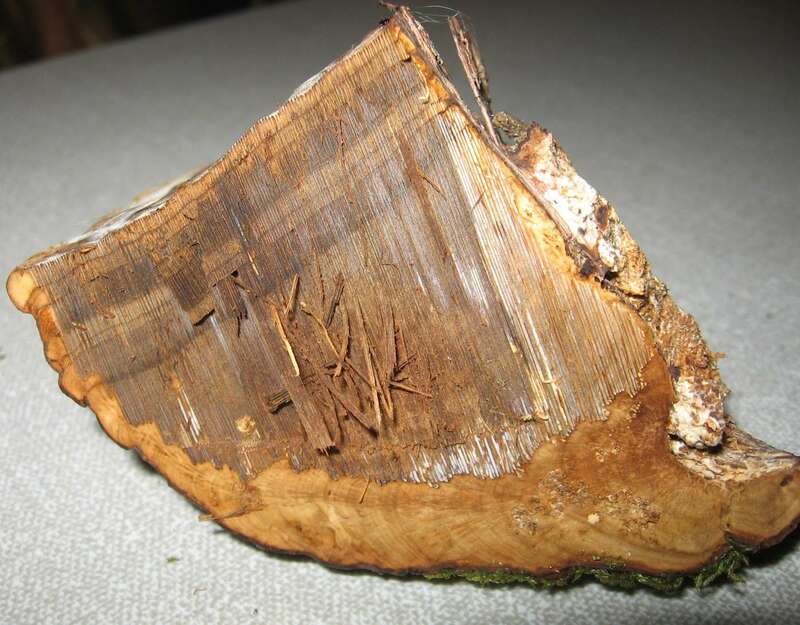 I also managed to get some dried birchbark to catch, having shaved off some fluffy bits from the inside skin with an axe. So, though none of these tricks were successful enough to replace the cotton wool and vaseline in my regular firelighting kit, they’re still useful to know about. The seed-pods look especially promising, particularly since the inside of the pods seems to keep dry quite well even in the rain.